Candles represent the mood of a celebration. Many people light a candle during their wedding as a symbol of their unity. Many religions use candles to celebrate the beginning of their life dedicated into their faith. Others use candles to honor/honour those who have passed and to commemorate special days. The rest of us, use a candle to relax, enjoy and take in the moment. When we think candles, we think of birthdays. A monumental celebration, especially as a parent excited about their little one’s special day. 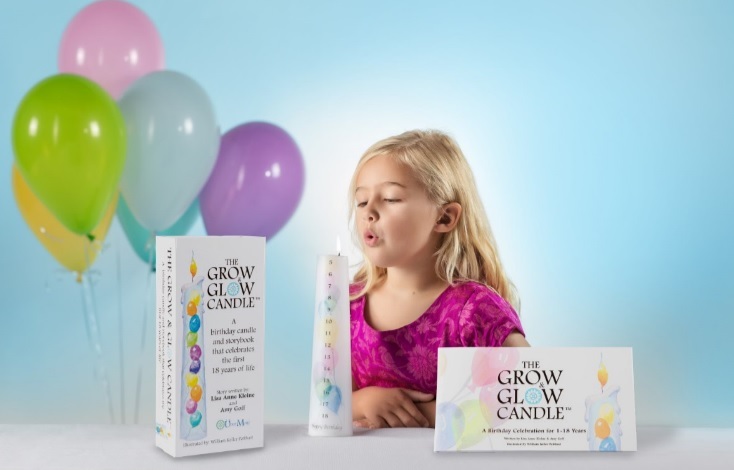 The must have gift for all children is The Grow and Glow Candle. 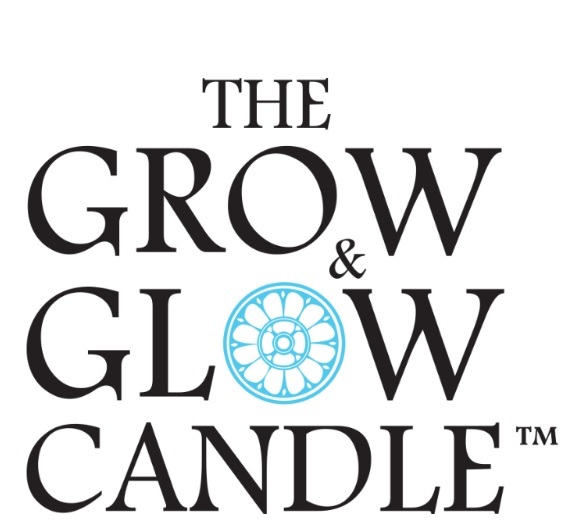 The Grow and Glow Candle gift set is the perfect gift for the Mom to be or the special child in your life. 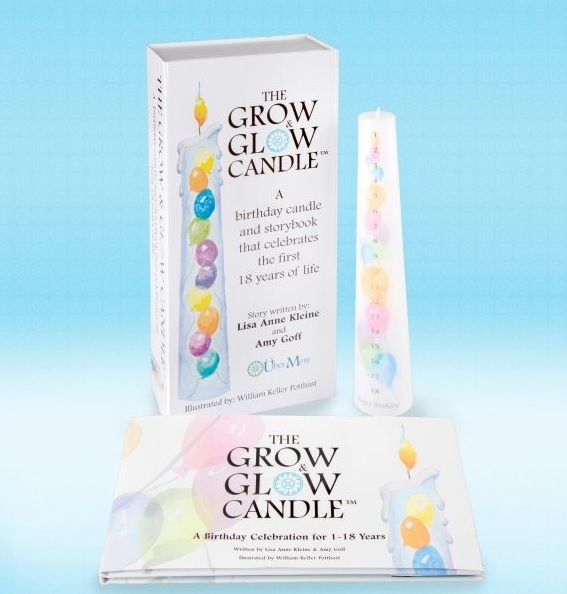 The Grow and Glow Candle gift set includes this beautiful pillar candle which is decorated with a beautiful balloon design that you light on each birthday of your little one. This keep sake goes from 1-18 years and comes with a light hearted, hardcover storybook which walks you through all of the milestones your child will take! This candle is not only a memorable gift, but the beginning of a tradition set by you for your family. This candle will grace each birthday year after year. As the candle glows, your child grows and these memories can last a lifetime. 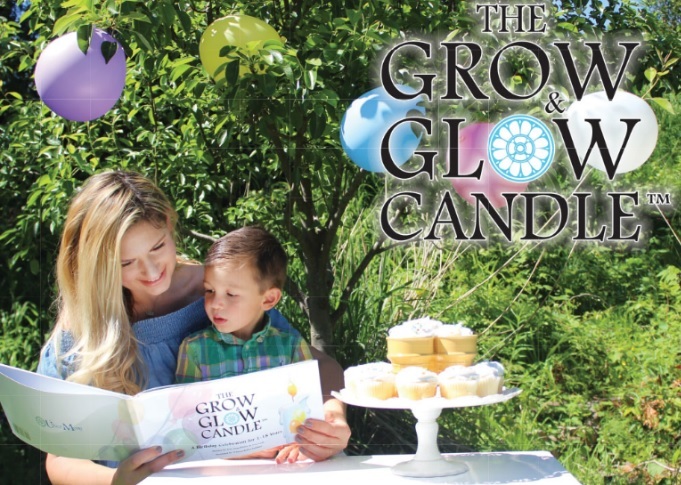 Whether you are a parent to be or want to celebrate your child’s first birthday, the Grow and Glow Candle is perfect for any family! We think it is best to plan ahead and is a great baby shower gift! 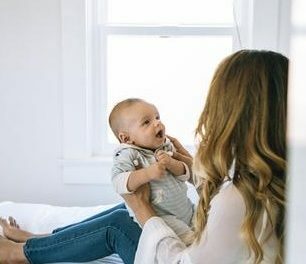 The love and support your child will feel during each commemorative year is memorable and you are creating an even more special bond with your child and their birthday. When Rachel Urso from Celebrity Baby Trends introduced us to Grow and Glow Candle we knew our audience would love it as much as we do! It’s time to celebrate in style with the Grow and Glow Candle! PreviousHopster App is Our Favorite Choice for Kids! 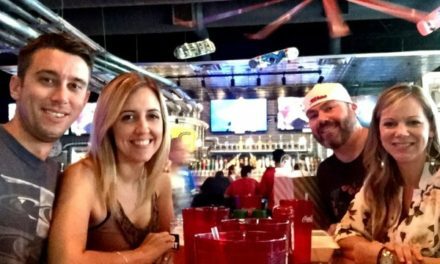 NextBest of Bridge Sunday Suppers Keeps The Tradition Alive!